In many eastern cultures it is well understood that physical health is impacted by the health of the subtle, energetic body. In the west we have few opportunities to access this invisible part of ourselves that can only be felt. With the stimulation of technology and urban living it is increasingly difficult to listen to and trust the wisdom of the subtle aspects of our being. In this 90-minute workshop we will explore the relationship between the chakra system, our lives and our physical health. Through guided imagery, breathwork and sound meditation participants will gain tools to listen to the body, increase their sensitivity to energetic cues so they can make decisions that support a life they love. In partnership with The Assemblage, Paul and Erica are leading an upcoming Seven Senses retreat in Yelapa, Mexico October 20-27. See here for more information and to apply. Members save $250 — RSVP for this event to receive the discount code. This event is for members and guests. Learn more about joining The Assemblage and getting special access and entry to all of our programming. Erica Matluck is a Naturopathic Doctor, Nurse Practitioner and holistic coach. She is also a Reiki master, massage therapist, yoga instructor, and trained clairvoyant. Erica brings a truly holistic lens to medicine, addressing the physical, mental, emotional and energetic obstacles to health and wellbeing. Erica has a private integrative medicine practice in New York City, and is the founder of Seven Senses, where she leads transformational wellness experiences throughout the world. Currently, director of experience for The Assemblage, Paul Kuhn is a skilled facilitator that uses experience as a vehicle for transformation. 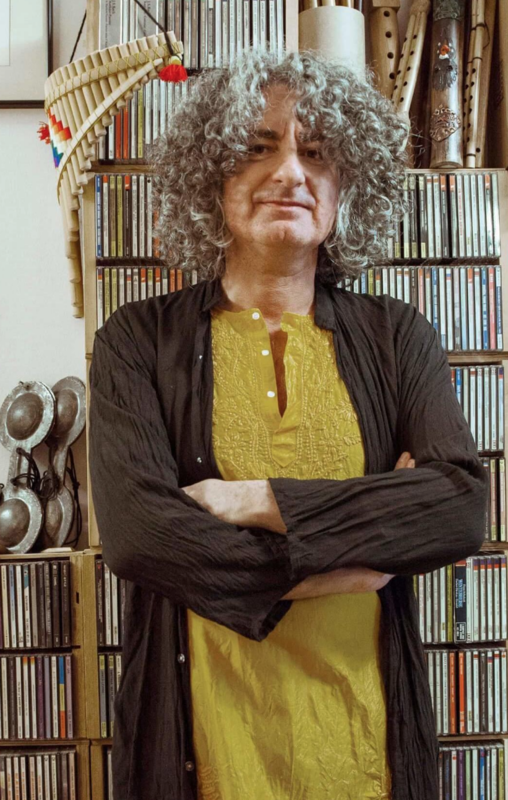 As a musician and an experience designer, he integrates sensory stimulation, sound, breath and meditation to deepen presence, awareness and insight. Paul has trained in sound meditation and shares this transformative practice with individuals and groups throughout the world. He has produced and lead a broad range of experiences that inspire people to shift and awaken. Paul's work is deeply influenced by his passion for creating community and a natural talent for curation. He also co-facilitates Seven Senses retreats.